Marketers spend a lot of time, money and effort to drive leads to their brand’s website but, Ben Sharp asks, did you know only about 2% of customers purchase on their first visit to a website? It’s a troubling statistic, particularly when you consider that people who visit your site are warm leads and it’s likely they’re in-market and have shown interest in your brand. So what do you do about this ‘lost’ 98%? Reconnecting with these lost leads is more complex than ever thanks to the ever increasing use of mobile devices. Recent statistics from Microsoft found that 30% of Australians use a smartphone, tablet and laptop (sometimes all at the same time) and 24% are using their mobile devices for high engagement activities like online shopping. To make this even more difficult, the majority of transactions begin on one device and finish on another, so it’s vital that marketers are able to reach their customers as they move from desktop to mobile and back again. It’s no secret marketers have struggled to easily serve cross-device campaigns. Beyond the issues with creative and screen size, it’s been difficult for technologies solely reliant on cookies to effectively identify consumers as they move between their devices. One way marketers can try and bridge the gap between devices is through deterministic cross-device matching. Social networks and ID credentials are often at the heart of this technology, as people regularly remain signed in across their devices. By matching anonymous ID information from desktop to mobile, brands are able to say with more certainty than ever before that it’s the same person. For instance, let’s take a potential customer logged into Facebook and browsing for a pair of jeans on their laptop during their lunch hour. If they don’t make a purchase during that session but use the Facebook app or Facebook mobile site via their tablet on the commute home, we could serve them an ad for those jeans they viewed earlier in the day on their tablet and be confident it is the same user. A recent global study of 215 AdRoll customers using desktop Facebook, mobile Facebook and desktop web retargeting found that advertising with Facebook News Feed on mobile had a higher CTR than desktop and almost 10 times the CTR of web retargeting. By adding mobile to the mix, advertisers saw 29% more clicks and 15% more conversions – a huge impact on the bottom line. By being able to speak with one customer on multiple devices, brands are able to communicate in a more complete way. They can use ads that are targeted and personalised to each person at their stage in the purchase cycle, regardless of the device they happen to be on at the time. It’s a simple strategy to significantly increase your ROI and improve online conversion rates. The customer journey doesn’t stop when a potential customer gets to your website and it certainly doesn’t stop on desktop. Engaging customers across mobile devices shouldn’t be treated by marketers as an add-on or even a separate marketing initiative, but should form an integral part of the marketing mix. 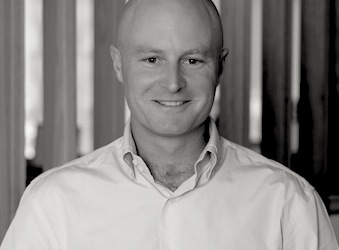 Ben Sharp is AdRoll’s ANZ managing director.